My Local Big Box Store Sells Replacement Windows. Aren’t They All the Same? Not even close! Replacement windows from local home and garden stores are generally a low-quality replacement window. 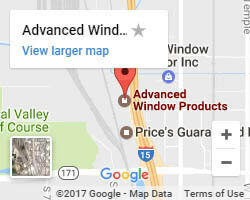 Local hardware stores carry often only carry windows for people looking for the cheapest window available. 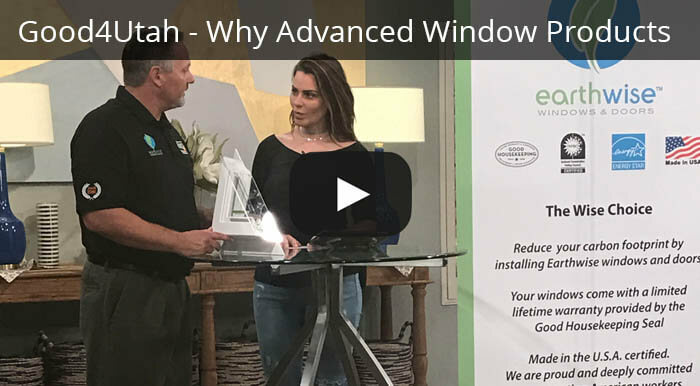 However, if you are looking for an energy efficient window to help decrease energy costs of your home or a triple paned window to keep street noise out – Advanced Window Products is your go to! 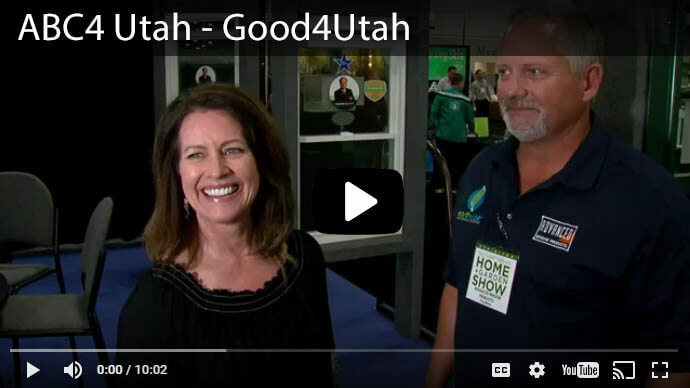 We manufacture all of our replacement windows in our Salt Lake City warehouse with the highest quality materials available. Another downside to buying replacement windows from a hardware store is that they come in standard sizes, and you may need to modify your home for the new window, which can be costly. On the contrary, Advanced Window Products will send a window professional out to your home to carefully measure your existing windows in order to manufacture the perfect sized window for optimal performance. Why Does Condensation Form on a Window? At the edge of most insulated glass units, there is a metal spacer which gives the unit its structural stability. The metal connection permits heat loss by conduction, up to 120% faster than the center of the glass. We choose to use a Warm Edge Technology known as XL Edge because it eliminates condensation, as well as increases the seal of the glass unit five times more than a metal-sealed unit. See more reasons why it might be time to replace your windows here. Will I See an Increased Level of Comfort and Savings in My Home with Double-Pane Vinyl Windows? Yes! In fact, most people have experienced a dramatic, 25% energy savings. Why Should I Order Custom-Fit Windows for My Home? Because all window openings vary in measurement (due to settling or unsquared window openings). We custom make each window to ensure a perfect fit. Call 1-800-505-9622 for a free estimate. See other reasons why it is important to have secure and safe windows here. A replacement window is a window that has been custom built to fit the dimensions of an existing window. Advanced Window Products offers a wide array of windows styles and colors of replacement windows to compliment any homes’ architectural style. What Advantages Do Vinyl Windows Have Over Aluminum? If your existing frames are made of aluminum or steel, you are losing most of your energy through the frame. Metal acts like a magnet, drawing heat and moisture to your glass and window sill, losing energy and in some cases attracting mold and mildew to clean up. Do Replacement Windows Have to Be White? No, replacement windows do not have to be white. We have tan and almond color vinyl offerings, as well as a variety of colors that can be applied in a special painting process. See all the window frame color options here. Replacement windows have a great ROI. If you select high-quality, energy-efficient windows, your windows will get a return on your investment in savings through lower heating and cooling bills. Engineered and well-built windows have been proven to lower home energy consumption by 30-40%. 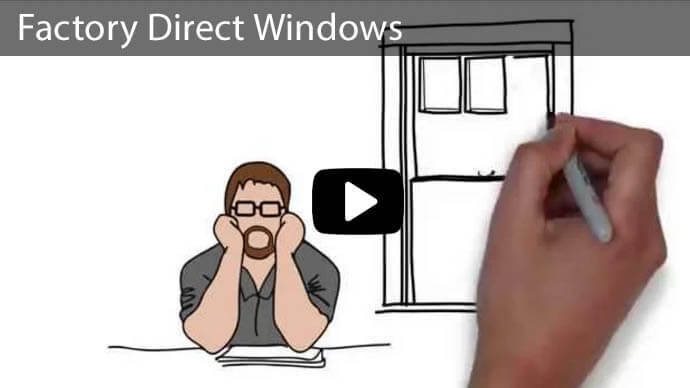 Does Advanced Windows Offer Window Privacy Glass Options? We offer 3 different obscure glass options for those cases when extra privacy is needed, such as for a bathroom window. The different types of privacy glass you can choose from includes standard, rain drop, or glue chip privacy glass windows. What are the Benefits of Buying My Windows Straight from the Window Manufacturer? There are three reasons. First, you will save time by bypassing the middleman. Second, you will receive a quality installation by factory-trained installers. 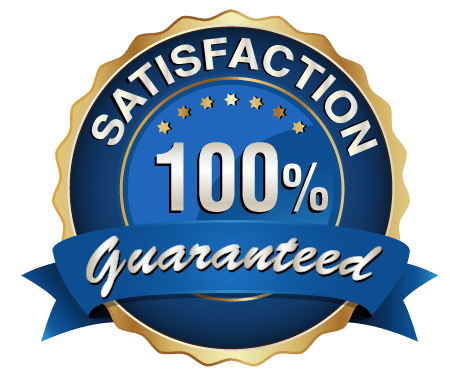 And third, you will receive the peace of mind of knowing that your Lifetime Guarantee is backed directly by the factory, and not by a dealer who may not have the same longevity, or who may pass the warranty responsibility on to an out-of-state factory. Call today for a free in-home estimate at 1-800-505-9622, or fill out our no hassle form to the right. 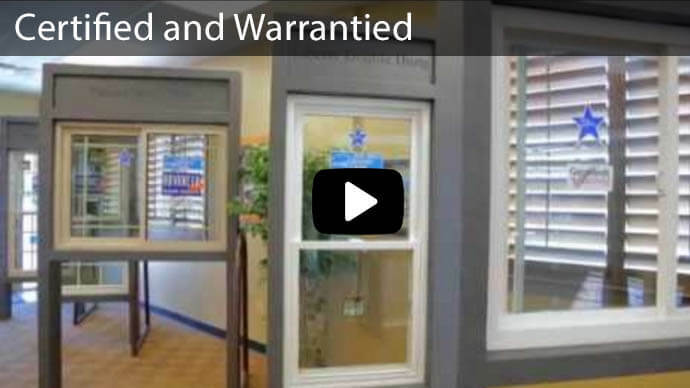 How are Advanced Window Products Tested and Certified as Energy Efficient? Our products go through rigorous testing regularly by the NFRC, to ensure their energy efficiencies meet the standards. 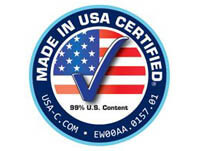 The NFRC supplies the stickers that come on our products and show the ratings. How Can I Prepare My Home for My Replacement Windows? 1. We ask that you take down any curtains, blinds, or other window treatments. 2. Security devices on windows should be removed and turned off by your security company. 3. Please allow a clear path to the windows being replaced. The demand for windows varies throughout the year based on weather and other factors. Your order could be fulfilled anywhere from 2 to 8 weeks from purchase. This is a question for your estimator to get an accurate expectation for your order timeline. 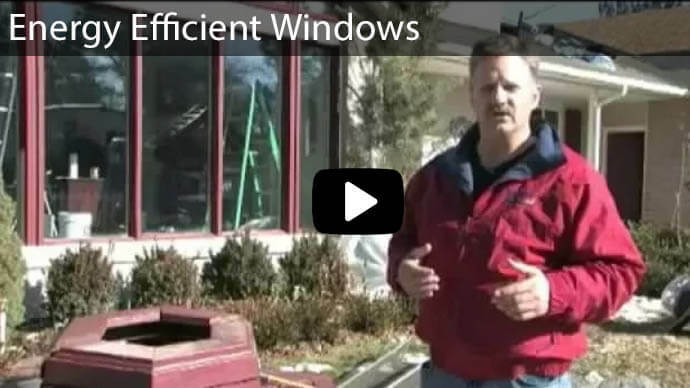 Does Advanced Window Products Install Replacement Windows Year-Round? If So, Will I Lose a Lot of Heat/Cooling at the Time of Installation? 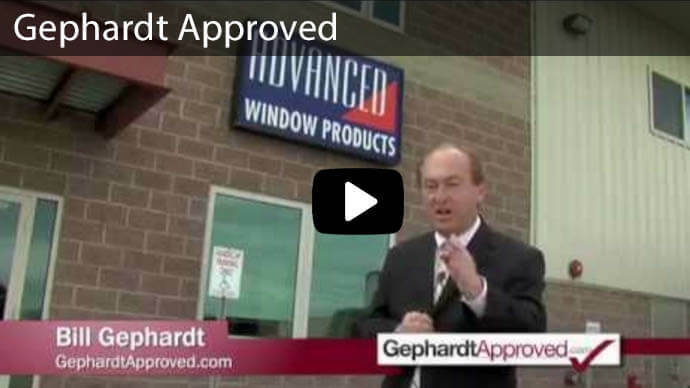 Advanced Window Products installs new and replacement windows year-round, rain, shine or snow! We seal off the room, and then remove one window at time. This allows us to keep as much heat/AC in the home as possible; it works very well. PLUS the energy savings from your new windows will make up any costs incurred during the window installation process many times over! We will haul away all the old windows and debris. We will recycle anything that can be, and dispose of the rest of the waste for you.